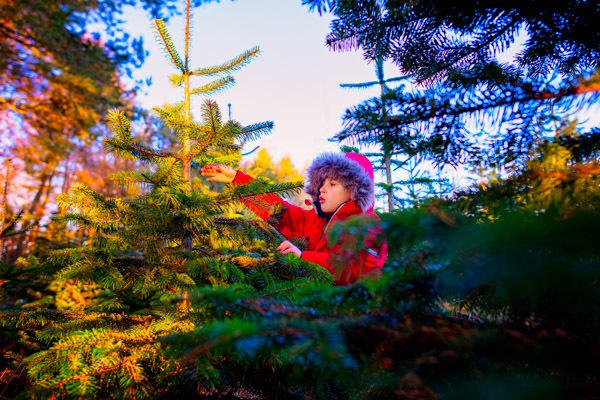 5 photography tips when buying your Christmas tree! I love, love, love shopping for Christmas trees! It’s a passion that goes back to my childhood when my Dad would get my Mum, brother and myself to hold up pre-cut Christmas trees to allow him to pick the most symmetrical one! We had too stand there for ages holding their spiny trunks so he could choose which lucky tree would get loaded onto the roof rack! Fast forward a few years and I’m repeating the tradition with my son, but without the prickles! We go to Hadsham Farm in Oxfordshire which not only grows its own trees but hand-prunes them so they grow into the perfect shape for OCD parents like my Dad! We headed over to the farm in mid November to find our perfect tree, tag it with our name and leave it to continue growing until we collected it in December! 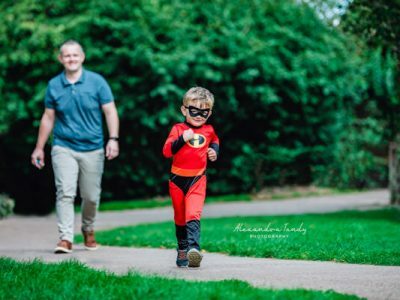 And remember to take your camera along and follow my five photography tips to get some memorable shots of your little ones! As I mentioned, I can remember Christmas tree shopping since I was about five or six, but I don’t have any photos to look back on! So stand back with your camera and capture the moment as they search for that perfect tree! 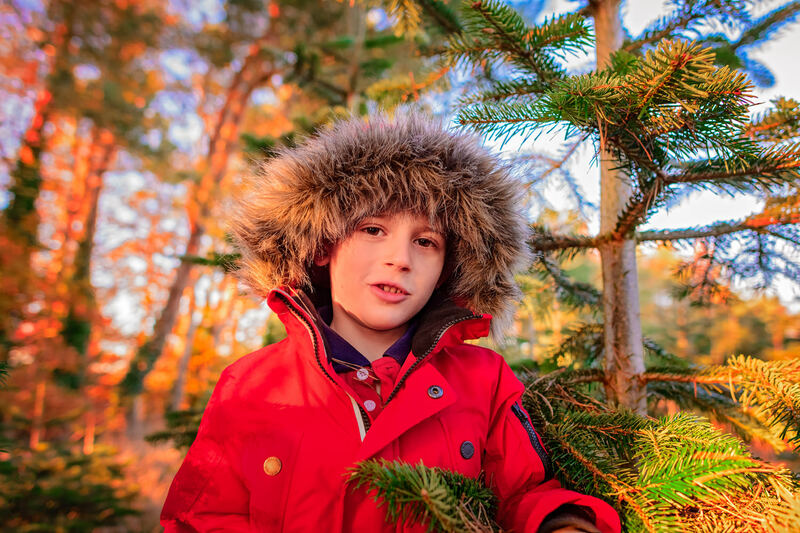 My son loved this one but it was just a few feet too small – I love a BIG tree! 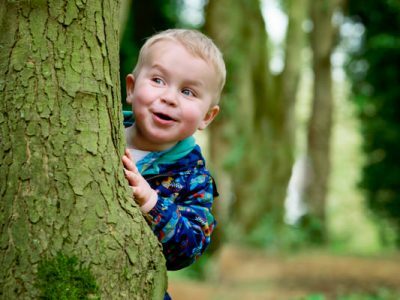 Our children are not little for long, so take a few more steps back with your camera and capture some shots of them against their surroundings. It really helps give a sense of scale to them and the trees! 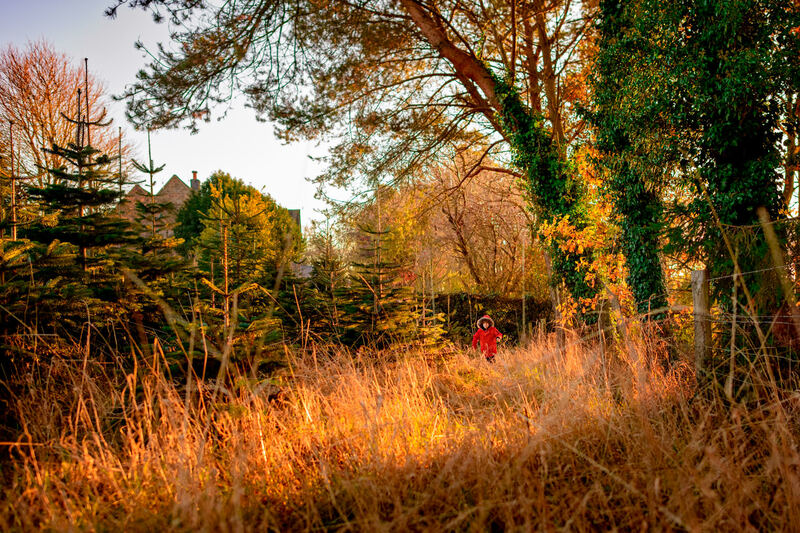 I also loved the light flooding in from the right as it really helped frame my son as he ran towards me! 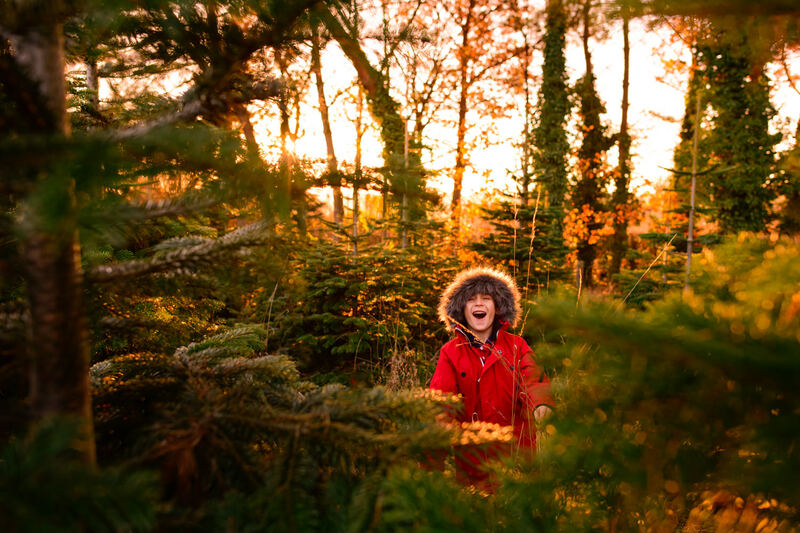 Tall, bushy Christmas trees are the perfect surroundings for a game of hide and seek! Position yourself where there’s a great backdrop, in this case I loved the way the setting sun was illuminating the trees and autumnal leaves. Then lay in wait until they find you and…click, click, click! Now they’ve had some fun, they may let you get some portrait shots? Hats can cause shadows on their faces, so try and position them so there’s some sun falling onto their face! IT’S NOT ALL ABOUT COLOUR! 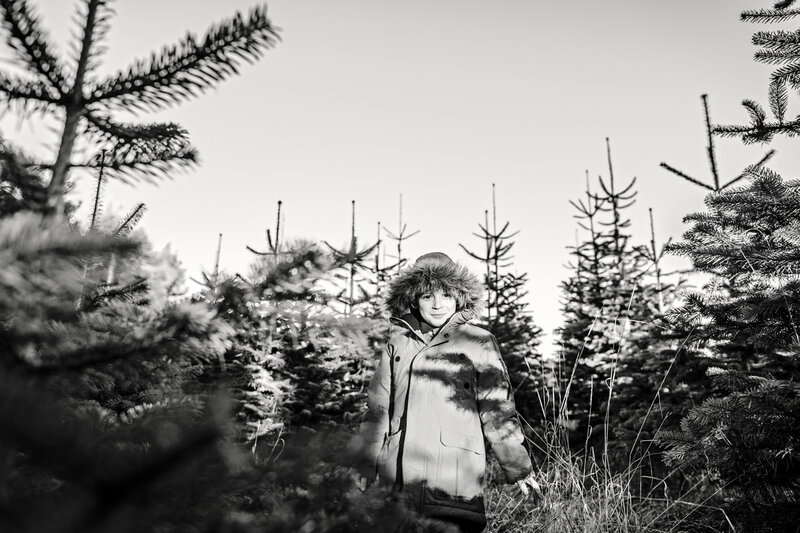 Now I’m the first to admit that Christmas is about rich reds and deep greens, but black and white can look great too! I got down low for this shot so I could maximise the tree tops against the wide open sky! Then I waited for my son to find me and ta dah! It’s probably my favourite shot of them all, but then I am obsessed by black and white images! Get in the frame yourself! Now I have to admit I completely forgot to do this on the day so we have no images of my husband and I with him, but thankfully we can get those shots when we go back to collect our tree! 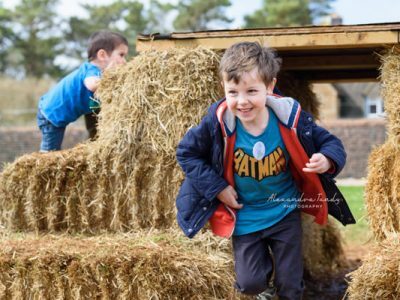 Of course, if you’d love me to take your family photos then do let me know and I’ll gladly meet you at Hadsham Farm!